Brainard Field may well be the country’s first municipal airport. Located in a former cow pasture in southeast Hartford, Brainard opened in 1921. The era’s greatest aviators– Amelia Earhart and Charles Lindbergh– landed there to great acclaim. For its first decade, the field was used primarily for passenger flights. But in 1933, as the Great Depression tightened its grip, city officials decided Brainard should accommodate commercial traffic to spur the economy. This would require expansion and the grass airstrip runways to give way to blacktop pavement. How could the work be done on the cheap? With the city’s ever-growing number of jobless workers, of course. City employees who drove ash wagons had already been replaced by jobless men. In August, 1933 the city’s public welfare department advertised for the Brainard project. One hundred workers were hired. Most were family men, now desperate for jobs. They had worked in local factories as machinists, assemblers, laborers and office clerks before the massive layoffs occurred. The unemployed men had heard they were to be paid 40 cents an hour. Unfortunately for them, there were no wages, only food and partial rent subsidies. Work started at 7:30 am. Most of the men had to walk three or more miles to reach the airfield. They were told that if they did not have sufficient food to eat for lunch they should try to get a private charity to assist them. Married men without children were restricted to working a maximum of 2 1/2 days a week. Men with four or more children are allowed to work 5 1/2 days a week. The jobs were “compulsory,” announced Hartford welfare superintendent William J. Ryan. 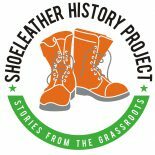 If any of the men were hired but then refused to work, and later applied for public assistance, they would be arrested for nonsupport. This program would give the men “the opportunity to regain their self -respect,” Ryan declared, with no apparent irony. The men had a different view. “I can’t work for nothing,” complained one. “I have to make payments on furniture.” Others spoke of insurance premiums to meet, doctor bills to pay, kids’ clothing to buy. “Now all we need are a ball and chain,” observed one man. “Conditions like that are enough to turn anyone into a radical,” another worker said. Federal relief programs were still several years away. Most welfare, as meager as it was, came from local sources. The popular theory was to make public assistance as difficult as possible to obtain, in order to discourage dependence. Welfare violated the American spirit of pride and self-sufficiency, according to policy makers. Outright refusal to provide government support wasn’t necessary, the noted sociologist Frances Fox Piven has written. If receiving aid was made degrading enough, recipients would become outcasts. Early in the dispute, Hartford Mayor Walter Batterson warned that if the men were paid wages, they would buy alcohol instead of providing for their families. The day after the project had begun, as word spread there would be no wages at all, dozens of men threw down their picks and shovels. A strike was on. The action was led by former railroad man Martin Meaney and by Will Thomas, an African American mechanic. They were supported by a multiracial committee and quickly met with Mayor Batterson. “We like to feel that no matter how small the wages, we have something to show for our work,” one committeeman told him. The dispute was settled when the mayor guaranteed that no one would be arrested for refusing the outdoor work. The men agreed to $1.00 a day plus their food and rent assistance. Two buses from Main and Gold Streets would transport them to and from the job site each day. In the first years of the Depression, the Hartford Open Hearth shelter gave out 10,000 meals to unemployed men– mostly donuts and oatmeal– twice a day. 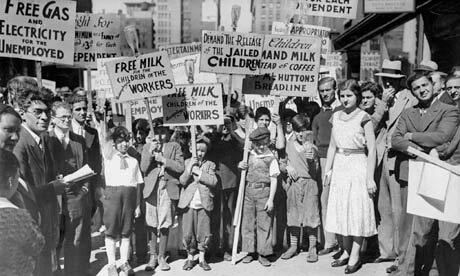 The Hartford Association of the Unemployed (HAU) formed in 1932 in response to the substandard meals, demanding and winning better nutrition. The group also opposed “conscript labor” like the original no-pay airport jobs. HAU established seven chapters in the city, including one at Brainard Field. The members initiated free speech rights in order to protest publicly about their poverty conditions. HAU organizer Morris Yousman frequently made the connection between local poverty and the need for a comprehensive federal response to the upheaval of the Great Depression. 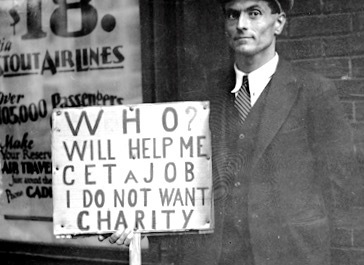 Believing that neither big business nor local government would answer their needs, the militant organizing of the unemployed grew, mostly by socialist and communist groups. During this period, unemployed “hunger marchers” demonstrated on the General Assembly in Hartford, and thousands of army veterans descended on the nation’s Capitol to increase the pressure begun by small efforts such as those at Brainard Field.